Fighting to awaken, you force your consciousness to eject from the nightmare. Dark and disturbing dream images swirl around you. The small hairs on your arms stand up as you recall the awful feeling of one or more teeth falling out, cracked and crumbled as they fell to your feet – the last thing you heard before waking was a sound strangely similar to a handful toy jacks clinking against a hardwood floor. You bolt from the bedroom to the bathroom. Unsteady on your feet, crashing first into the nightstand, then the dresser, you’re frantic to get to a mirror. Almost there, your tongue snakes around every tooth and you shove your fingers into your mouth – hunting for gaps where there were once pearly whites. Blinded by the bathroom lights, you squint into the mirror and command your eyes to adjust. Finally, you can see. Teeth bared like a wild animal, your head twists left, then right. You throw on the big fuzzy slippers you would never wear in front of guests but that still make your feet feel like a million bucks and then, with one bloodshot red eye open you do the slow, cumbersome zombie shuffle to the coffeemaker. (Hey, don’t they have an IV set up for this kind of thing yet?) You remember to make a silent note to yourself to check the calendar for your next dental appointment. Then, your day goes on and you completely forget to look up what triggered the dreaded ‘teeth falling out dream’ or to jot down nighttime vision in your dream journal so you can come back to it later. But WAIT… What? That’s it? Just guzzle a cup of coffee and go about your day without giving it another thought? No. That’s not it. The ‘teeth falling out dream’ is one of the most common dreams. Through all cultures and centuries, dreams about teeth falling out have been recorded and reflected upon. When a dream is shared by so many, it speaks to message from your subconscious that should not be ignored. Besides reminding you to get that dental plan you’ve wanted, dreams about teeth falling out can have many meanings. The details of your dream and the feelings the dream narrative evoke influences the messages you receive. However, make no mistake about it; your subconscious mind or higher self is showing you scary images for a very important reason: It WANTS you to remember what you see, to consider the symbolism and meanings, – to “chew on it” and to interpret it. First things first; Don’t rush to interpret a dream image until you make sure the imagery is really stemming from the subconscious and that the physical world is not a heavy influence on your nighttime visions. Somatic responses can show up in your dream imagery naturally, as your brain picks up the signals the body sends while you sleep. With that being said, before analyzing the symbolism and meanings about a dream of teeth falling out, take a moment to explore any potential physical world causes for what you’ve seen in the dreamscape. Are you in fear of losing a tooth that might already be loose in reality? Are you suffering from a sweet tooth or tooth sensitivity? Do you have a real toothache or cavities? Do you suffer from a legitimate dental condition that might trigger nighttime Bruxism (teeth grinding)? Have you been less than dedicated to your oral hygiene regimen so now your dreaming mind is attempting to remind you, via a guilt-induced dream, to get back on track with taking care of yourself? Do you have a dental appointment in the near future and the mere thought of it is causing you so much anxiety that your tension is creeping into your nighttime visions? And why not? Because, seriously, even in the 21st century many dental tools seem like Medieval torture devices! All of the above-mentioned issues can trigger pain responses that travel to the brain and, subsequently, trigger an appearance in dream symbols and imagery. Ultimately, pain, uncomfortable emotions like guilt, anxiety, and stress are all very realistic triggers for having dreams about your teeth falling out (and cracked, rotting, or chipped). By the way, remember earlier when you read that if you were a woman, you probably have had dreams of teeth falling out more than once…it’s true, particularly if you are pregnant. Pregnant women often encounter some dental difficulties when they are carrying, or they end up losing a lot of calcium that ends up affecting the strength of their teeth over the course of time and therefore makes them more prone to cavities and damage. The possibility of dental issues can overwhelm the pregnant woman so she dreams about the issue and the potential consequences in her sleep so her subconscious mind can try to work out a solution of some kind. Moving past any physical cause that might trigger near nightmarish visions of poor oral health, you can interpret dreams about teeth falling out by viewing the imagery through different lenses, all of which will add a different shade of meaning. Yes. All this must be considered if you truly want to accurately interpret and analyze dreams about teeth falling out! LOL Dream interpretation is easy – said no one EVER! Through different cultures, beliefs, and stories, the connotation of teeth dreams can imply vastly different meanings. While there are so many unique cultural influences and stories that can cast a unique light on dream meanings, covering them all is not within the scope of this article. So, here, we share just a few cultural examples to get those interpretative juices flowing! In “Hawaiian Legends of Dreams,” author Caren Loebel-Fried writes of an old Hawaiian Legend lending to the belief that the soul escapes the confines of the body by slipping out of the corner of your eye, (something they identify as the eye pit), and roams around the world. She goes on to explain how every tooth is associated with some family member; if the tooth fell out in a dream it was a forecast of death for the individual associated with the tooth/teeth lost! According to Andrea Rock, the author of “The Mind at Night: The New Science of How and Why We Dream,” the ancient Chinese associated tooth loss in dream imagery with the endangerment of one’s mother or father. In “The Fabric of Dreams: Dream Lore and Dream Interpretations, Ancient and Modern,” author Katherine Taylor Craig explains how all but those of the Freudian school seem to find teeth dreams as negative or presenting as an ill-omen or some kind. To the ancient Greeks, otherwise known as oneirocritics, to see teeth falling out is to predict great sorrows to come. If the teeth are merely loose, it portends your own illness, but for those that fall out, it signifies the death of a friend or a relation, and if you drop all of your teeth out, this can only foretell of your own death. 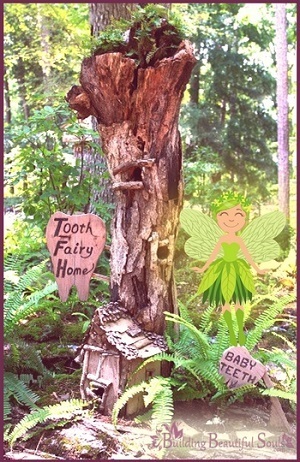 More modern folklore, like the relatively recent innovation and American’s understanding of the tooth fairy, might well associate a dream about tooth loss with either a loss or gain in money as well, depending upon the dreamer’s point of view. Would you believe the word “teeth” appears in the bible nearly 5190 times? The term is often used to reference a person’s power, empowerment, and sometimes, as in a reference like “gnashing of teeth,” it signifies fury. If you felt negative or even depressed about the loss of teeth in your dream, it may point to feelings of lost personal power and anger in your waking life. Additional biblical references to teeth falling out or being knocked out are mentioned in passages like Exodus 21:24, “Eye for eye, tooth for tooth, hand for hand, foot for foot,” which simply means that an equal punishment is to be doled out for a personal injury to another. Taken in this context, if you see your teeth falling out, you might want to consider whether you are injuring yourself through a lack of self-love and care, or if perhaps you are experiencing some form of guilt for hurting or slighting someone else in our waking life. Sigmund Freud, the founding father of psychoanalysis, also wrote “The Interpretation of Dreams,” wherein he shared his understandings of dream symbols. In Chapter 6E of his book, Freud discusses the meaning of loose or missing teeth and equates the imagery with sexual repression; He supports this notion by pointing to the masturbation practice in Austria where men refer to the act of “pulling one off” or “pulling one out,” and therefore links teeth dream imagery to male genitalia. In “Learned Optimism: How to Change Your Mind and Your Life,” author Martin E. P. Seligman suggest that Freud linked the meaning of teeth falling out in a dream to the notion of male castration as well as a person’s guilt over engaging in the practice of masturbation. Freud’s analysis goes even further and pinpoints what a dream with teeth falling out means for women. In the book, “In Your Dreams: Falling, Flying and Other Dream Themes – A New Kind of Dream Dictionary,” author Gayle M. Delaney, while noting Freud’s clear difficulty with seeing alternative non-sexual metaphors for dream meanings, explains how Freud believes teeth falling out dream imagery indicates the woman’s desire to have and rear a child. In contrast, Carl Gustav Jung, another of the forefathers of psychoanalysis and a contemporary of Freud’s, eventually strayed from the sexual connotation of dreams and developed the understanding of the “collective unconscious.” In his book, “Man and His Symbols,” Jung writes how the loss of a tooth is sometimes a rite of passage or a physical initiation in some cultures. Sometimes dream symbols lead to more symbols for you to unravel, and other times the symbols allude to universal meanings and concepts. Life, death, and rebirth: First a child teethes, and then they lose their teeth in earlier childhood to make way for adult teeth. As a person ages, she becomes more susceptible to loose or lost teeth. Since teeth remain in place even in the face of death, they then bring the whole allusion full circle and the frightening imagery of dream teeth becomes an image representing the life cycle, coming full circle, the afterlife, immortality, the elderly, the aging, and one’s ancestors or heritage. Western view on aging: Death and decay rather than a very natural way of aging as is seen in other cultures around the globe. Teething: Represents “biting” into something new or preparing for what is to come. Shamefulness or Embarrassment: A dream of missing teeth might suggest a subconscious feeling of embarrassment, shame, or the fear of experiencing either emotion. Fear of Intimacy: For someone to look at your teeth, they must draw close to you, thus, lost teeth in dreams might indicate your fear of being too close to another. Fear of vulnerability: Akin to fearing intimacy, to be willing to be close to someone or to be open to another suggests a hidden or unacknowledged fear of being vulnerable or taking emotional risks. Friendliness versus preferred introversion: Lovely teeth are what make a smile, but your dream leaves you with no teeth whatsoever which might suggest you prefer introversion or you might be feeling antisocial. It can also point to potential social anxiety. Nurturing and no responsibilities: Think of a time when you could care less about not having teeth. Your dream may point to a desire for motherly coddling and a deep need for escapism or freedom from daily, burdensome responsibilities. A possible longing for childhood or a state of innocence is also indicated here. The inability to eat: With no teeth, all your of dietary needs will clearly be neglected; perhaps you are not feeding yourself properly in the physical realm, or you require physical and/or spiritual nourishment that you are presently lacking. Popular sayings are spoken so often they become run of the mill but the same sayings can prove quite revealing when we are attempting to analyze and interpret dream symbols. Consider all of the follow common sayings related to teeth and the questions they provoke once you think if perhaps the message they convey applies to situations and experiences during the day. “Armed to the teeth:” What are you ready for or preparing to do? Are you fully prepared? Are you ready to take on anything? “Biting off more than you can chew:” Are you really in over your head. Is it time to back out of a situation and recover? Are you in self-denial about your true state of affairs? “Chew on it for a little while:” Take time to really think things over very thoroughly before making any moves at all. Be careful when major decisions are involved. “By the skin of your teeth:” Are you tired of just barely getting by? If this cliché resonates with you, you might want to take a look at your finances and redefine your budget. “Gritting your teeth:” When you awoke, was your jaw clenched? Have you been under a lot of stress? Are you relieving stress by grinding your teeth? If any of the latter apply, you might do well to get some relaxation, stress, and to spend some time meditating. “Hard to chew/“Having trouble digesting:” Teeth are one of the primary parts of the digestive system. If you are finding things a “little hard to swallow,” or you just can’t stomach a situation, perhaps breaking down the situation into the smallest of parts and dealing with it a little at a time will work far better. “Holding back behind your teeth:” If this saying resonates with you, maybe you are holding back on expressing yourself when you really should step up to the plate and speak. “Lying through your teeth:” Are you in a state of self-denial? Are you lying to another? If you are lying about something in your waking hours, even if by omission, it may haunt you in your dreams as unwanted dental issues. “Show your teeth:” Showing your teeth is often associated with a sign of aggression as if you are attempting to threaten someone, but showing your teeth can also hint at sharing a big smile depending on the lens you view the phrase through. If this phrase resonates with you, you may need to be less aggressive in a situation or you might want to smile more – either way, the dream hints at behaving in a friendlier manner. “Paying with an eye tooth:” Are you compromising yourself, your values, or your ethics when you really rather not do so? If this cliché resonates with you, then it’s time to reconsider if you are paying more than you should in a given situation. “Something to sink your teeth into:” Are you feeling as if you are missing something you are passionate about? This saying hints at the idea carpe diem, seize the day, or go out there and get it, instead of waiting for something you can really ‘’bite into” and enjoy. “That’s a kick in the teeth:” As mentioned earlier, Jung points to this phrase as hinting at certain rights of initiation in some cultures, but it can also mean that in your waking hours you have done something and it has gone unnoticed or unappreciated. Wisdom teeth: May signify a loss of wisdom, rite of passage, and loss of innocence. Loose teeth: Signifies that you are a bit too loose or free with your voice or expressions and it’s time to hold back. False teeth: Signifies outright lying, falsities, or pretending to be something you are not. Two front teeth: Signifies a longing for childhood, loss of innocence, or that you find yourself wanting something so badly, you are willing to give your “two front teeth,” to get it. Numerology is the spiritual significance and sacred symbolism and meaning of numbers. If you can remember the number of teeth you see fall out in your dreams, that number may convey an extra layer of dream meaning for you. Here however, along with the number of teeth you witness disappearing, you should also note how you truly felt when you saw it happen. While this may sound like a strange idea, your emotion in the dream may not be one of initial horror or fright. Perhaps you were calm, distant, outside of yourself as an observer, aloof, or strangely happy or excited. All of the latter emotions will change the vibration of the numerological association you will reference for dream meaning in a negative or positive way. Consider the example below for greater understanding, before moving on to numerological references. Dream Narrative: You dream of your teeth rotting, cracking, crumbling and falling out. Reaction A: You cry and sob with grief over the loss. As such, the dream conveys sadness, grief, even horror and therefore points toward a negative numerological vibration. Reaction B: You start laughing hysterically seeing how ridiculous you now look. The ability to laugh at yourself in the dream suggests positive number vibrations. Here are some examples of how numbers can signify meaning when associated with teeth imagery. You are encouraged to look into numerology meanings if you do not see the meaning of the number you are looking for here. The numbers most associated with teeth are 32 adult teeth. Then number 32 consists of a three and a two. When added together, you get five. Thus, the numerological references, at least the most common are two, three, and five. 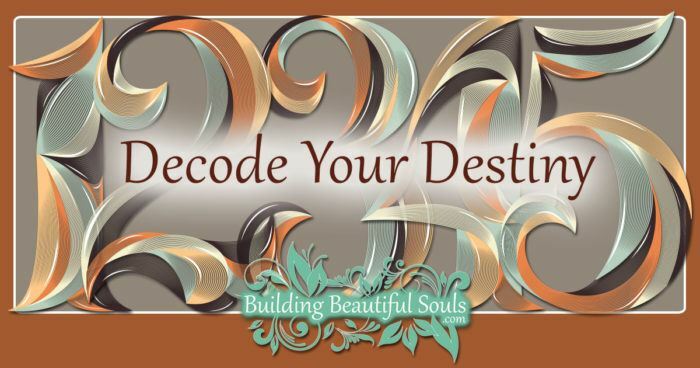 Read all about Numerology Meanings here at BuildingBeautifulSouls.com. Number 2 (Second Chakra): Balance, yin-yang energies, unity, marriage, and complementing pairs are signified here, unless viewed negatively where concepts like imbalanced, broken friendships, broken partnerships, divorce, and going beyond extremes apply. Number 3 (Third Chakra): This number signifies the family unit, the trinity of religions, and creative forces. Associated with a negative vibration, the number represents jealousy, excess, imbalance, and waste. Number 5 (5th Chakra): positively, the five elements, spirit, procreation, creativity, and protection. Negatively, the abuse of the sacred, potential danger, disturbance, lack of imagination, and trouble are signified. The throat chakra or in Sanskrit it is called Visuddha is a blue wheel of spinning energy located at the throat. This energy allows chi to flow through it when it is healthy, but when it is blocked it can result in mental, spiritual, and physical ailments. Since the teeth are inside the mouth and very near the throat, the throat chakra has a considerable association with teeth and their health. Thus, if you are dreaming negatively about teeth, your throat chakra may be out of balance. Imbalances of the throat chakra influence all the chakras associated with it including the neck, shoulders, mouth, and ears. 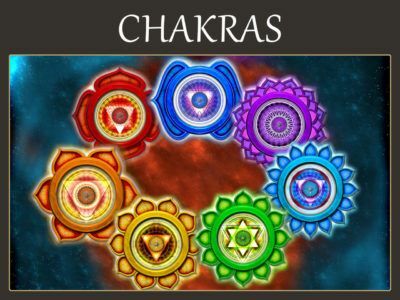 If your chakra is blocked or not spinning smoothly you may witness a decline in energy, creative expression, your ability to speak your truth, but also your ability to hear the truth and creative expressions of others as well. Taurus is the zodiac sign associated with the throat. Taureans are creatures of comfort. They love the finer things in life, music, beautify belongings, the arts, and they also tend to have a “champagne taste with a kool-aid pocket book. 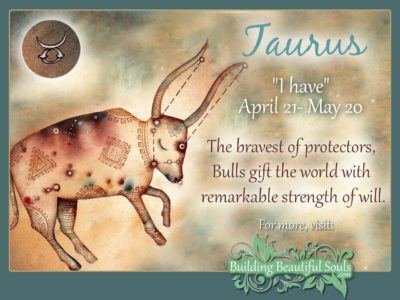 Once Taurus is settled and feeling at home they can become unmovable. Taurians can be stubborn and do not care for change. In reference to teeth imagery viewed through an astrological lens, your dream meaning may signify a need for embracing change, to be less stubborn, or perhaps it is time to kick back, relax, and make yourself comfortable as you enjoy all the beautiful things life has to offer you!